Sign up and receive Property Email Alerts of Simplexes for sale in Gillitts, Gillitts. Lovely large home in a secure complex in the most convenient road in Gillitts! Granite kitchen has just been redone, large lounge and separate dining room open onto a big balcony overlooking a spacious garden. 4 bedrooms, main en-suite, with a second bathroom with a separate toilet. There is a double garage, large outside scullery area with a completely separate room/domestic quarters. 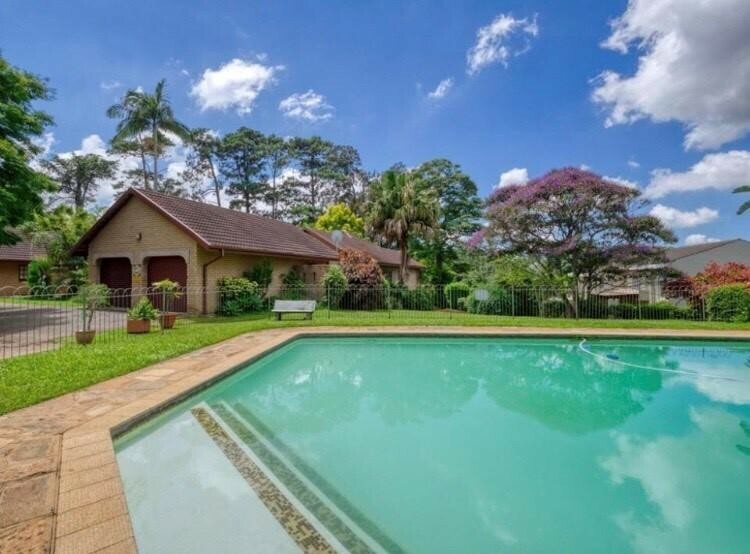 This home is in a small complex which offers a huge communal pool. Easy access to the highway and close to all shops and amenities in the gillitts area! Sign-up and receive Property Email Alerts of Simplexes for sale in Gillitts, Gillitts.